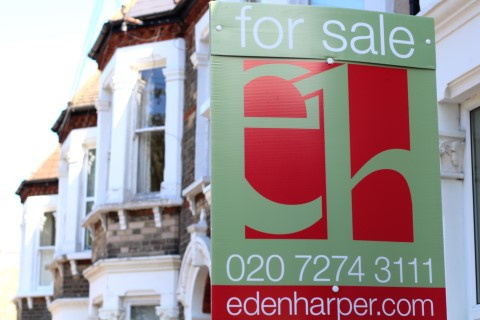 The value of homes in Brixton and Battersea are significantly higher than the London average, according to research by Lloyds Bank that reveals property prices in the capital have shot up by 55% since June 2011 to average £540,440. The findings also reveal that home movers in the capital put down an average deposit of £192,133 towards the purchase of their next home – four and a half times higher than the £42,310 average deposit paid by property buyers in Northern Ireland. In the UK as a whole, the number of home movers has increased by 9% in the first six months of the year compared with the same period in 2015. Meanwhile, the number of people moving up the property ladder has increased from 160,900 last year to 174,700 – the highest level since 2008. Rightmove’s August House Price Index, however, delivers better news for property buyers in Brixton and Battersea. It shows London house prices fell 2.6% in the last month, as Brexit uncertainty and a summer slowdown hit the capital's property market. "Rightmove housing market analyst Miles Shipside comments: “It is usual for sellers in the capital who come to market in the summer holiday season to price more cheaply." “However, the European Union referendum meant an earlier start to the summer lull, as buyers hit the pause button ahead of the June poll." “But the result has since encouraged hundreds and thousands of house hunters to search for potential bargains, he adds." The recent interest rate cut could prove to be a further “confidence boost” and the pound’s weakness will strengthen demand from some overseas investors, according to Rightmove. Meanwhile, a third set of data shows rents in London have fallen annually for the first time in nearly six years. At an average of £1280, monthly new lets in London are around £7 cheaper in July than a year earlier. The research also shows 11% of homes in the capital were let for more than the asking price in July, down from 32% in July 2015. Demand for property to buy and to rent in Battersea and Brixton continues to exceed the number of homes on the market. If you are looking to buy, sell, let or rent a home in Brixton or Battersea, Eden Harper can help fulfil your property dreams. Contact us today to find out more.